The Albert-Eden Local Board have continually assisted us by providing funding for many of the activities we do. This funding goes towards the leadership development of our team and ensures we can keep our team properly trained. In 2017 they also fully funded our brand new trailer, which allows us to take more equipment to more exciting locations. The New Lynn RSA and 19 SQN has a long history of helping each other. This isn't just financially (although it's much appreciated) they also help by donating their facilities for us to use and by being invested in our success. We're big fans of keeping dry when it's raining. 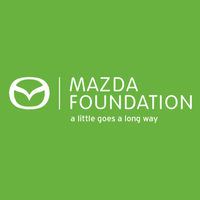 The Mazda Foundation have provided us with the support we needed to purchase rain jackets and radios for our team to use to keep themselves trained and safe. The NZDF are who provide the uniform we wear and provide us with personnel to help make the whole organisation possible. Without their support we wouldn't be here today. The largest single command in the New Zealand Defence Force, the NZCF create our policy and define who we are. We quite literally don't exist without it.